Alex's music style is very versatile. She sings acoustic pop/soul and Popopera cover songs by artists such as Adele, John Legend, Beyonce, Lady Gaga, Ed Sheeran, Bruno Mars, Elvis Presley, Maroon 5, Andrea Bocelli, Celine Dion, and many more. She is also versed in old Italian and Spanish Bel Canto. 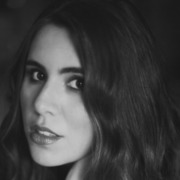 She was classically trained at Point Loma Nazarene University as an opera singer, and brings rich, soaringly clear vocals as a lyric operatic soprano. She can sing in Italian, Spanish, French, German, and English. With her powerful voice and beautiful heart, Alex has a way of personally connecting with her audience and will always make you feel special. From living rooms, to weddings, to concert halls, she will tailor the sets to fit the venue. Always professional, and reliable, Alex can provide her own PA system and bring her own instruments. She can also bring additional musicians if needed. She is based in San Diego, and is also willing to travel further if accommodations are provided. Born in the traditional, if traditionally obscure fashion, Misdirection front man Brent Curtis’ musical interests, and talents, have progressed well beyond blowing out amps in the family garage. 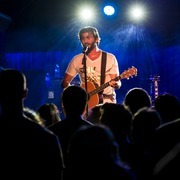 Following a representative rock-star path, Brent’s initial foray was a punk project influenced by Blink 182, Green Day and many of the high-energy, extreme-volume bands of the day. Brent conveys his love for the craft in every story he weaves, nurtures and delivers. Clever lyrics and song titles augment a wealth of pure talent and genuine understanding of and appreciation for music. Brent maintains the same passion that drove him to pick up his first guitar, if he is perhaps a bit less compelled to smash it into kindling. 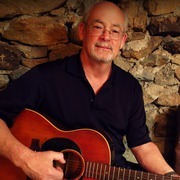 Acoustic blues, roots of rock, folk, classic country and original material. 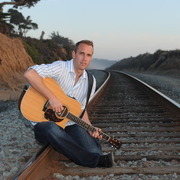 My song "Roof of Hell" was awarded second place in the San Diego Songwriters Guild "Performing Songwriter Competition". It's inspired by the 200+ year old haiku by Kobayashi Issa : “In this world we walk on the roof of hell gazing at flowers” I have many years of experience performing live and enjoy interacting with audiences but I also know when not to. 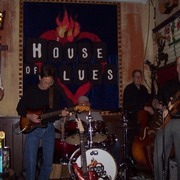 Baja Blues Boys have been performing as an electric Chicago-style blues band with guitar/slide guitar, harmonica, bass, drums and saxophone since 2005. Our motto: "If it doesn't serve the song, it doesn't belong." We also feature roots of rock, Americana and classic country as well as audience favorites.